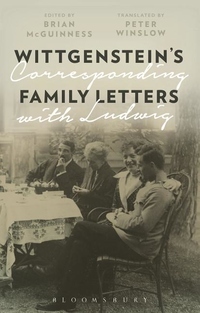 Translated into English for the first time, the letters collected here bring to life one of the greatest thinkers of the twentieth century, Ludwig Wittgenstein. In letters written over forty years, we see how his ideas and relationships developed during his time as a prisoner of war, a school teacher, an architect and throughout his years at Cambridge. Always frank and often brutally honest, these letters between Wittgenstein, his brother Paul and his three sisters, Hermine, Margaret and Helene are filled with a familiarity and an intimacy. They allow us to enter the bygone world of an extraordinary family, revealing a side of Wittgenstein we have never seen before.